We have a great selection of personal health and body care products that are made from organic, vegan, and non-toxic stuff. Take care of your health while you feel great and bring out your natural beauty! Here are just a few highlights from our great selection. Organic HobaCare Jojoba – NEW! Organic HobaCare Jojoba is 100% USDA Certified. Our 100% Pure Jojoba produced from pressed jojoba seeds makes human skin that helps keep it smooth, supple and moisturized. It is very different from commonly available jojoba oil, because we ensure that are seeds carefully pre-selected to give optimized quality products and 100% pure golden jojoba. Essential Oils can be used for Internal use and in Raw Food Recipes, to Topical Use and Aromatherapy as well as for Therapeutic and Immune Boosting Remedies. 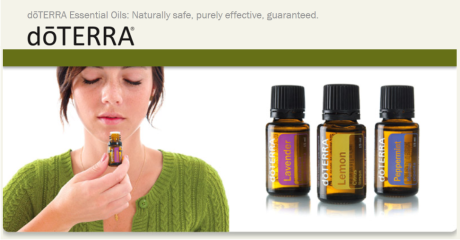 There is a huge difference between Regular Commercial Oils and the doTERRA Certified Pure Therapeutic Grade Essential Oils. People use the oils for Stress. Nourishing Night Cream – NEW! This is the Purest, Truly Natural Nourishing Night Cream. NO preservatives, NO emulsifiers, NO stabilizers, NO artificial fragrances. Made from cold-pressed oils, this cream is as close to “raw” as it’s possible to get. Available in 22 gram jars. Day creams are lighter in texture, in viscosity, than night creams. Night creams contain more in the way of nourishing, anti-aging active ingredients to help renew cells, restore elasticity, and combat the appearance of fine lines and wrinkles. My night cream also contains oils that help repair the damage caused by sunlight, pollution, makeup, and free radicals. A luxurious emollient consistency, the light, heavenly scent of Ylang Ylang oil. Use Tonya’s night cream and get the feel of a spa treatment every night. Take care of your mouth and body…the HEALTHY way! Dump the fluoride and foaming soap toothpaste you used to use and give your mouth healthy, healing ingredients. Aqua (water), bentonite, quercus alba (white oak) bark extract, triticum eastivum (wheatgrass) sprout extract, sanguinaria canadensis (bloodroot) extract, commiphora molmol (myrrh) extract, hydrastis canadensis (goldenseal) leaf extract, curcuma longa (turmeric) extract, helianthus annuus (sunflower) seed oil, cellulose gum, eupatorium rebaudianum bertoni (stevia) leaf extract, mentha piperita (peppermint) oil, eugenia caryophyllus (clove) flower oil, melaleuca alternifolia (tea tree) leaf oil, cocos nucifera (coconut) oil, eucalyptus globulus (eucalyptus) oil, gluconolactone, sodium benzoate. Use instead of toothpaste twice daily. Brush for two full minutes to ensure thorough cleansing. Don’t rush through the procedure. Two minutes are needed to allow the detoxifying actions of bentonite clay and the botanical healing extracts to absorb and exert maximum effect. Rinse with water. Multi-Herbal Green Clay Facial Masque offers the benefit of detoxifying properties and at the same time it is soothing and relaxing. It will tighten, clean and refresh the skin. Your skin will be hydrated…nourished… oxygenated. The final result is a renewed, rested and youthful appearance. Your Right to Be Beautiful Facial Cream is soothing and anti-inflammatory and can be used on any type of skin, including sensitive skin. It can be used as a daily moisturizer because it nourishes and restores dry, dehydrated skin, leaving it feeling firmer and softer. It can be used under makeup foundation or as a soothing after shave cream. It can also be used as an enriching and healing night cream. The cream does not leave film residue, since the ingredients are quickly absorbed by the skin. Hair —its quality, fullness, luster and health—is one of prime markers of youthfulness or lack of it. The rate of aging rises exponentially after age 40. As we approach 50, and then pass that milestone, Mr. Aging starts knocking. He knocks on our head—our hair, to be more precise. Thinning hair, hair loss around the temples and a receding hairline belie our age like nothing else. The all-natural active ingredients: Cayenne pepper, mustard greens, sage, lemon, stinging nettle, jojoba oil, chamomile, and aloe vera, with their cell renewing and antioxidant qualities, by nourishing the blood and stimulating circulation, can reverse this trend, resulting in fuller, thicker, healthier hair. Hair needs to be healthy and strong if it’s to look and feel beautiful. It’s an inside-outside thing…A raw food diet creates healthy hair from the inside, but adding proper hair care products to the outside brings the healthiest tresses imaginable. Tonya developed a creamy, moisturizing shampoo that works for all hair types. I don’t like clear shampoos. They seem to strip the hair of its oils. So I went for a creamy one. Your Right to Be Beautiful Volumizing Shampoo is not harsh or soapy and does not strip the hair of its oils, as so many others do. The ingredients will cleanse and protect without leaving a soapy feel, yet without that harsh drying effect. Tonya Zavasta thoroughly researched the most common complaints and drawbacks of conditioners, and formulated mine accordingly. By far the biggest problem with most conditioners is that they weigh the hair down, making it appear waxy, lifeless. Moisturizing is the key. For best results, you want an ultra-moisturizing conditioner. Your Right to Be Beautiful Revitalizing Conditioner more than fills the bill, containing such ingredients as coconut oil and shea butter, which will help restore shine and luster to dull, coarse, unmanageable hair. The conditioner is rich in organic tropical fruit extracts to create an incredible shine on even the dullest locks. Description: a great hair conditioner, hand and body lotion, make-up remover, shaving cream, bee sting, cuticle cream. Over 100 other uses. Handy pump bottle with over 100 uses, and made of all natural ingredients. Take it on vacation too! Ingredients: mountain spring water, apples, strawberries, rose, lemons, blueberries, cranberries, raspberries, boysenberries, oranges, cloves, ginger, pineapple, blackberries, celery, cherry bark, oak bark, orchid, marigold, hazel nut, pine needles, coconut, chamomile, jasmine, calendula, parsley, thyme, papaya, eucalyptus, passion flower, cinnamon, geranium, nutmeg. Tate’s the Natural Miracle Conditioner has no dyes, no gluten, no colors, no iodine, no glycols, no sulfates, no parabens, no fragrance, no phosphates, no pesticides, and no animal testing. Directions: A little goes a long way! Place a small quarter sized amount in hands and gently rub in to desired area. For more great uses and homemade recipes, be sure to check out the Tate’s yellow booklet that comes with each bottle. Rose Water Spray – New! 100% Natural Organic Bulgarian Rose Water (Rose Hydrosol) is wonderful for skincare, hair care, aromatherapy, and general wellness. It has anti-viral and antiseptic, balances natural oil-production of the skin, blemishes, hydrates and moisturizes without any Greasy Feeling. You’ll love it for healthy looking hair and reducing split ends. Used in Aromatherapy, it removes stress and relaxes your body and opens the heart chakra and improves communication between you and others. A combination of Organic Sugar, Organic Olive Oil, Organic Jojoba Oil, Organic Shea Butter and Wild-Harvested Jojoba Beads along with 9 Organic or Wild-Harvested Essential Oils. It’s the only preservative and chemical free exfoliator in the world. These natural, effective and safe facial exfoliants you will be on your way in no time to beautiful, radiant skin. Give it a try… Feel the Love! Enjoy the benefits of this highly effective complex eye serum. A therapeutic treatment for the eye area that delivers anti-aging benefits to maintain the skin’s youthful appearance. OCK’S Anti-Aging Eye Serum brings dull and tired-looking eyes to life by brightening, firming and restoring delicate skin. Our lightweight, non-greasy formula absorbs easily into the skin. OCK’S Anti-Aging Eye Serum contains 9 Organic or Wild-Harvested essential oils for maximum anti-aging benefits. Give it a try… Feel the Love! Ingredients include Simmondsia chinensis [Jojoba] Oil**, Vitis vinifera [Grape Seed] Oil**, Olea europaea [Olive] Oil** and our Proprietary Blend of 9 Organic and or Wild Harvested Anti-Aging Essential Oils. This Anti-Aging Facial Cleanser is a gentle botanical deep pore cleanser that goes below the surface of the impurities and make-up on your face and gently lifts it off, rather then moving it around on your face and into the pores of your skin. Give it a try… Feel the Love! Made with Aqua [Purified Water], Saponified Cocos nucifera [Coconut]** and Olea europaea [Olive] Oils**, Cannabis sativa [Hemp] Oil**, Simmondsia chinensis [Jojoba] Oil**, and our Proprietary Blend of 10 Organic and or Wild Harvested Anti-Aging Essential Oils. Our Probiotic & Enzyme Chocolate Mask is formulated to bring back your youthful glow. Smell the sweet aroma of the organic chocolate, feel the probiotic & enzyme blend doing its magic and see the difference in just your first mask. With consistent usage watch the years disappear! Give it a try… Feel the Love! Made with Agave Nectar**, Raw Cacao Powder**, and Proprietary Probiotic & Enzyme Blend. Uses: Powerwash, Animal Wash, For Head Lice, General Cleaning & Sanitizing, Stain Remover, De-Odorize and De-grease. Good For Athletes Foot, Nail & Skin Fungus, Animal Skin Fungus, Mosquito Bites, Bird Mite Bites & Bed Bug Bites- just spray and leave on infected area daily. It is tough enough to clean mildew off cement, yet gentle enough to clean your baby’s bottom. Throw out all those bottles of chemicals under your sink and in your garage and replace them with an ALL-IN-ONE solution! Several sizes for home, travel, even the day pack include – 16floz standard, Traveler – 2oz, and Go With You size 4 fl oz. Miracle II Natural Green Soap can save you money, time and effort on your daily household, auto, and hygiene cleaning routines. Your purchase helps protects our environment, because Miracle II Soap products are biodegradable and environmentally friendly. This natural alkaline green soap provides you an industrial strength, multi-purpose gentle soap that can replace your bathing, laundry, and household soap requirements without harsh surfactants nor preservatives. You apply it to minor cuts, rashes, skin irritations and wounds to keep the affected area clean. Available in 8oz, 22oz or Gallon size. Used after washing with our Miracle II Soap. Formulated for those areas where you would like to maintain a high level of Neutralizer over an extended period of time; or, something compact and portable. It is an incredible hygiene product used externally or for cleaning your teeth. This is a colorless and tasteless mild sudless soapy gel. It dries quickly and is non-sticky. Compare this gel with aloe-vea, you will be astounded. Therapeutic diffusion of plant actives, formulated for Peak Wellness by Dr. T. Formulated from fractons of pure, sustainable-grown natural plant oils. EcoBlends is a DEET-FREE, Natural insect repellent clinically PROVEN to repel biting insects for up to 4 hours. Created with a selected blend of essential oils and based on Native American herbal wisdom, EcoBlends is a superior insect repellent and safe for children, animals and adults. Unlike other insect repellents, EcoBlends is safe for the earth because it’s derived from herbs and plants. EcoBlends popularity comes from its effectiveness, but it also has a refreshing aroma and nourishes, protects and softens your skin. The Merry Hempsters® are dedicated to promoting the extraordinary benefits of Cannabis sativa (hemp) seed oil through the production of uniquely formulated and effective body care products. In keeping with our commitment to being an ecologically friendly company, we use the highest percentage of post-consumer recycled materials available for our packaging. All our lip balms and salves are handcrafted from the finest natural and organic ingredients. The Merry Hempsters® lip balms, lotions, and salves all use certified organic hempseed oil as a base. Unfortunately, due to its growing popularity in the marketplace, the term “organic” is often applied in vague, misleading, or otherwise inappropriate ways. For example, certain ingredients in a product may be organic, but they are ultimately formulated in a mix with decidedly non-organic petroleum-based chemicals or synthetic substances. Certified organic means that the farmer or manufacturer has adhered to a strict set of standards prohibiting the use of unnatural, chemically-based fertilizers, pesticides, genetically-altered plant material, etc. in growing or creating their product. Such conditions are verified by comprehensive farm and plant inspections conducted by one of a handful of regional certification agencies currently operating in the United States. The agencies work under the umbrella of the USDA in accordance with the National Organic Program (NOP). The USDA organic seal can easily identify true certified organic products, which should be clearly visible somewhere on the label or packaging. For a multi-ingredient body care product to have a certified organic seal, it must contain at least 95% organic ingredients. Ingredients: Deionized Water (Aqua), Coconut Oil Amidopropyl Betaine, Hydrolyzed Soya Protein, Herbal Complex, Decyl Glycoside (Plant Derived), Dimethyl Sulfone (MSM), Panthenol (Vitamin B5), Chamomilla Recutita Flower Extract, Aloe Barbadensis Leaf Extract, Quillaja Saponaria Bark (Soapbark) Extract, Saponaria Officinalis (Soap Wort) Extract, Hydrolyzed Wheat Protein, Oneothera Biennis (Evening Primrose) Oil, Lavandula Angustifolia (Lavender) Oil, Retinyl Palmitate (Vitamin A), Tocopheryl Acetate (Vitamin E), and Citrus Medica Limonum (Lemon) Peel Oil.